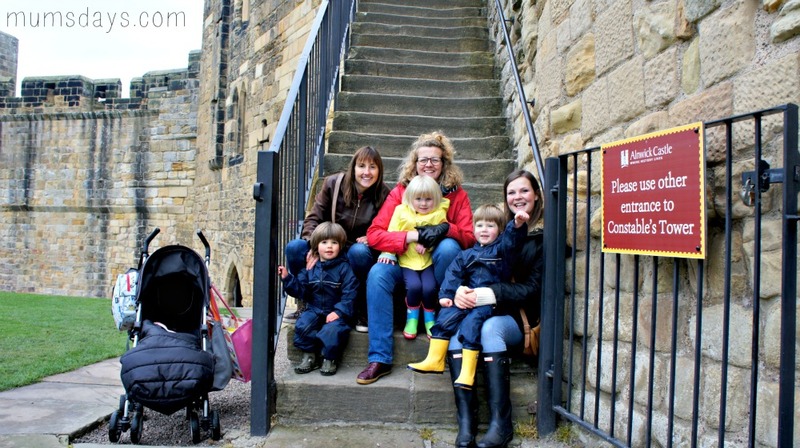 Our Northumberland Castle Challenge has finally brought us to Alnwick Castle, arguably the most famous of the Northumberland Castles, not least for it’s roles in the Harry Potter films as Hogwarts and the Downton Abbey Christmas special as Brancaster Castle! The home of the Percy family for over 700 years, one of the largest inhabited castles in the UK. There has been a castle on this site for over 1000 years, it was the birthplace of England’s most famous knight, Harry Hotsper, and even one of Anne Boleyn’s lovers was a Percy (you can read more of the family’s rich history here). This castle promised to be a good one. Each time we visit a castle it seems the perfect time to visit, but this trip to Alnwick Castle in Autumn seemed particularly perfect as the walk up the castle (from the Alnwick Gardens entrance) is lined with beautiful trees all turning spectacular colours. 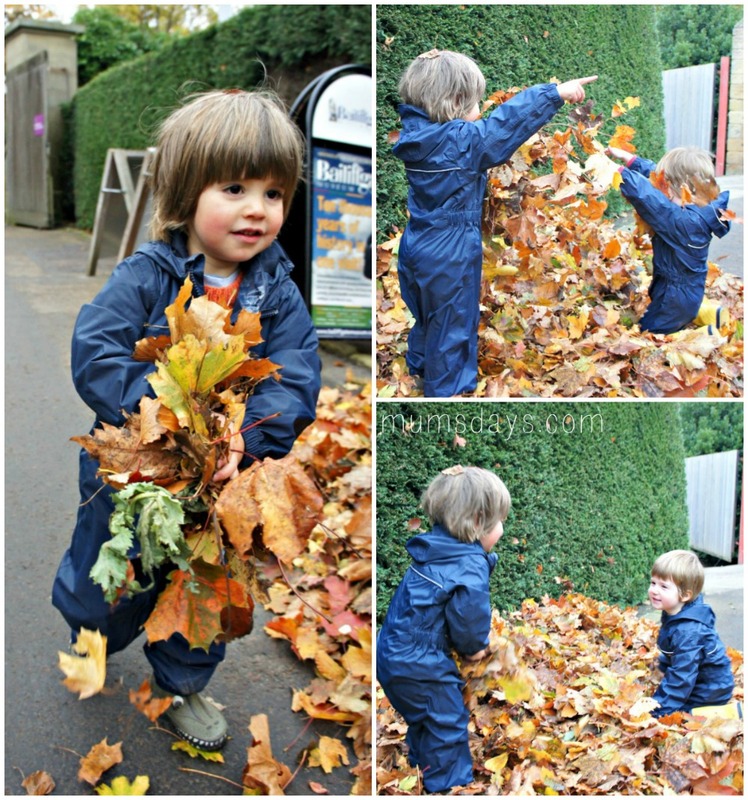 Someone had even left a handy pile of these lovely leaves for us to jump in (sorry to whoever that was!!). There was also funny looking chickens and a beautiful vista of the castle on the approach, which made our kids want to do a runner up the hill. Unheard of. 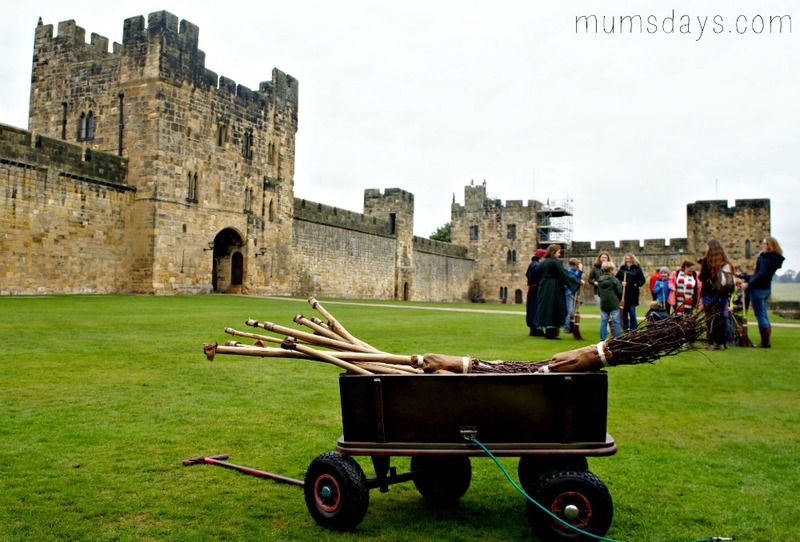 As I previously mentioned, Alnwick Castle was used for filming bits of Hogwarts in the Harry Potter film – maybe not too exciting for our kids, as they are a bit young for HP but it was exciting for us mums and any older kids. You can even have broomstick flying lessons! Unfortunately Isabella wasn’t so keen on the ‘witches’ so we decided to give it a miss. Boo! A lot of our castle hunting has involved a few stones on a hill. 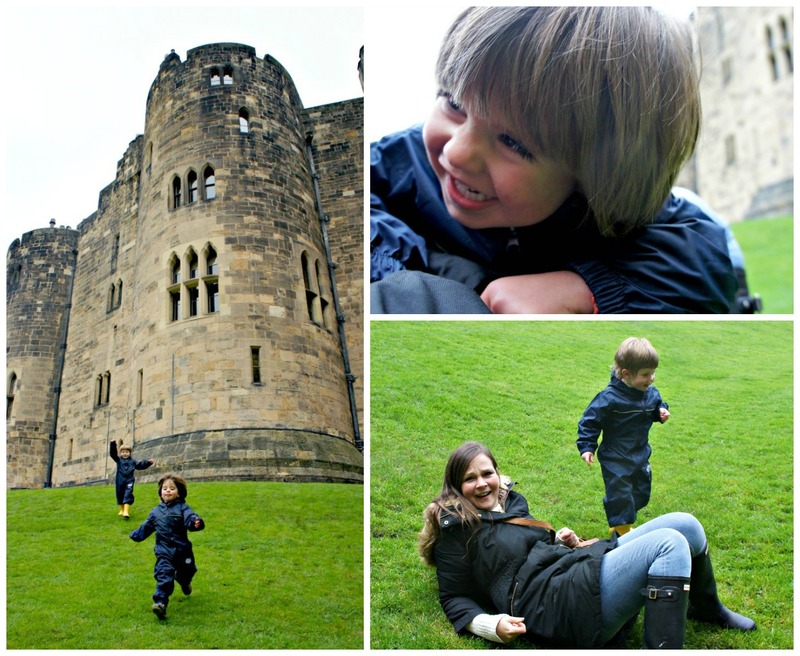 Alnwick Castle has more castle than you can shake a stick at! It’s huge and incredibly impressive, with lots of steps to climb up and down, and nooks and crannies a plenty. The Knights Quest is a pretty epic kids corner, offering rats, dragons, and dressing up – what more would you need? From a mums point of view the facilities were great, with toilets a short walk away and we were able to get baby Sam around the grounds in his buggy without any trouble. 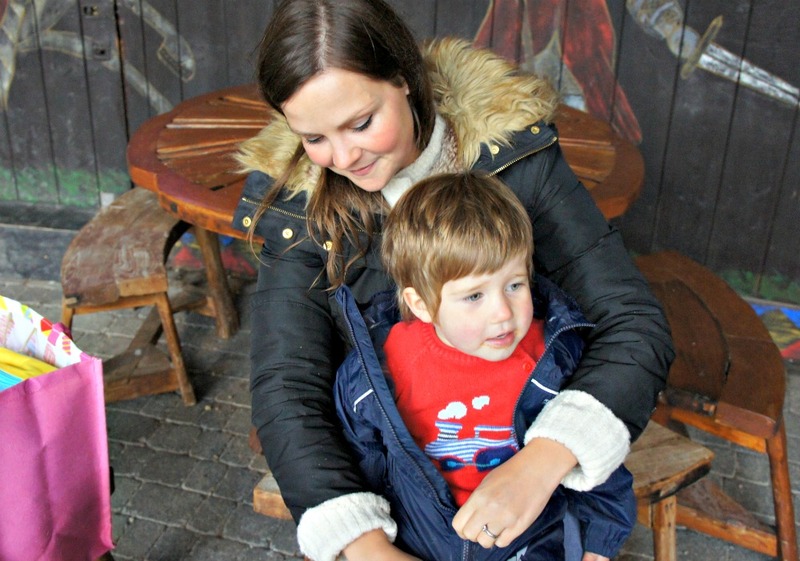 We also enjoyed our picnic undercover in the Knights Quest while it rained, alongside a cuppa and a (slightly pricy) babycino from the cafe. Unfortunately Isabella wasn’t feeling very well and seemed to get worse as the day went, so she isn’t in many of these pictures. But she did manage to raise a smile for the group shot. Ever the professional, bless her! It was a fantastic trip and castle to visit. Thank you to Alnwick Castle for having us! 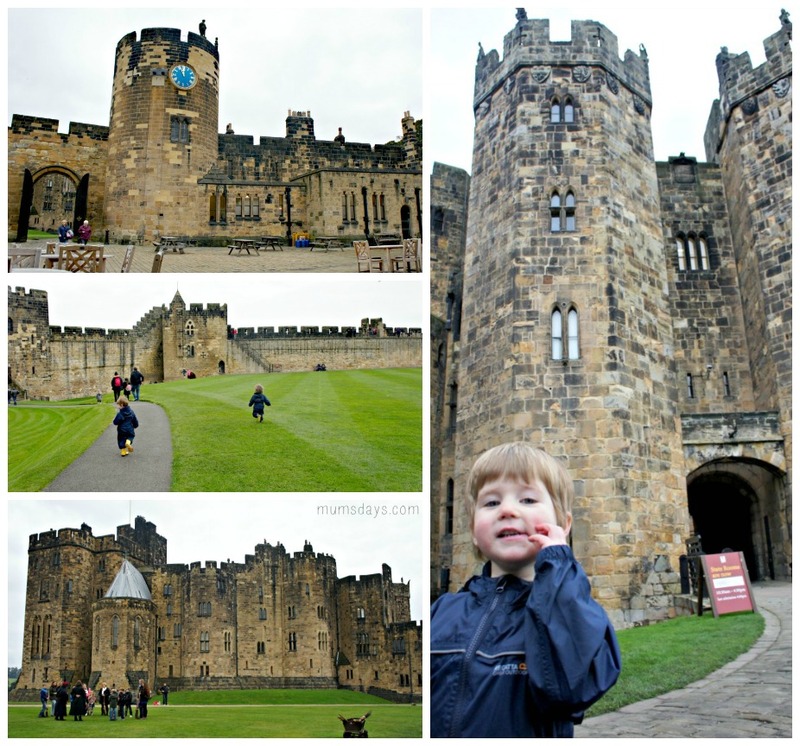 Have you ever been to Alnwick Castle? What were your favourite bits? I’d love to hear in the comments below or come and join in the conversation on the Mums’ Days Facebook Wall! 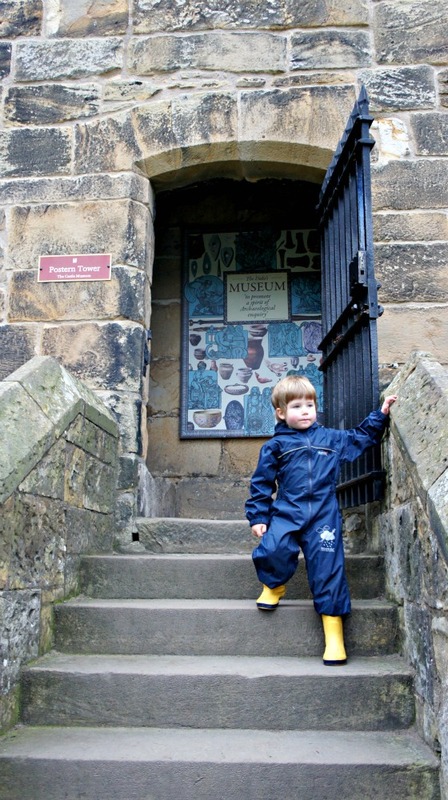 If you fancy a trip to Alnwick Castle over the half term holiday, there is lots on which you can read all about here. 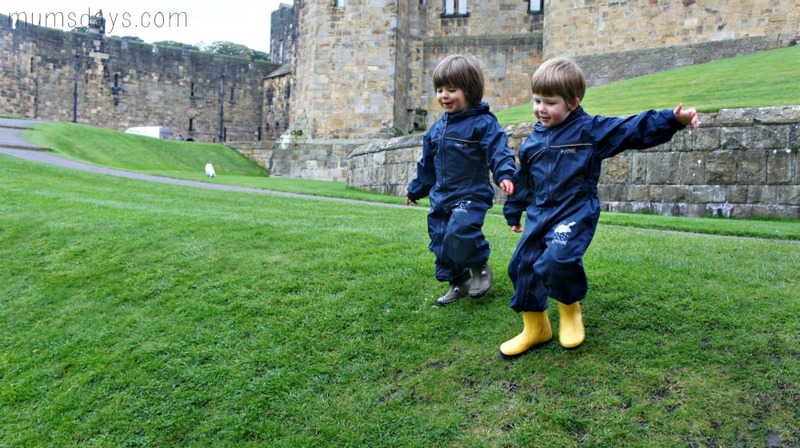 This trip to Alnwick Castle was made in association with Regatta who provided the kids’ all-in-one waterproof suits (plus another 25 suits for my local kids charity). They are brilliant and I don’t know why I’ve never got one for Reuben before. 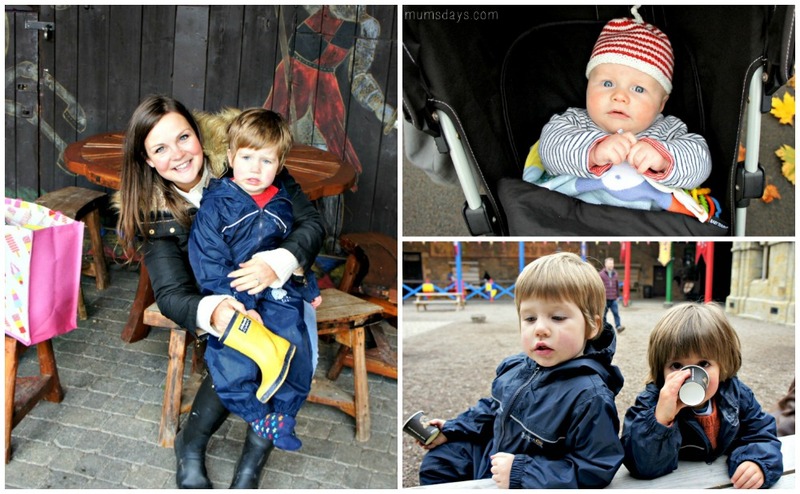 The kids stayed cosy and dry, despite the drizzly weather and the hill climbing! Totally! I love Alnwick Gardens too 🙂 We did venture into the dragons quest but R decided to head back after the skeletons! Haha! I love castles and never bee to Alnwick. It looks fabulous. And I am a big Harry Potter fan so would love to try an spot the places were it has been filmed. Think I may have to see about visiting soon. 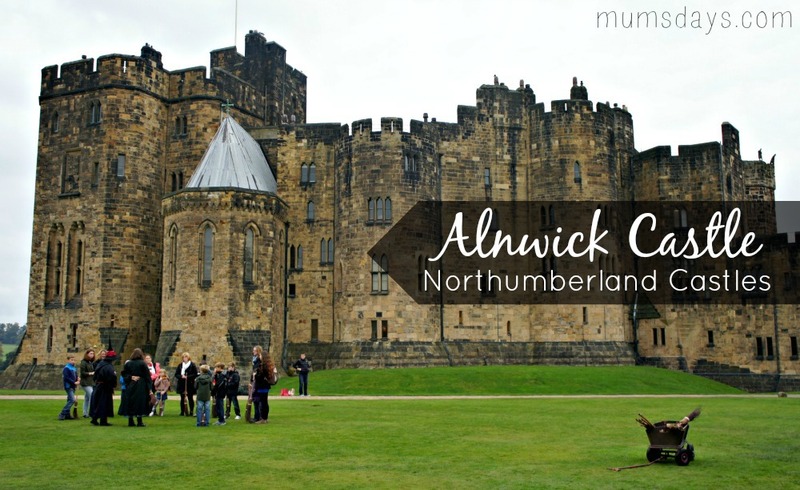 Ive never been to Alnwick but it looks like an awesome castle. Im a complete history nerd so know rhe story of Ann Bolyne and her ill fated romance with Henry Percy. Imagine how different history would be if she had been allowed to marry him?? (sorry,I really am a nerd). 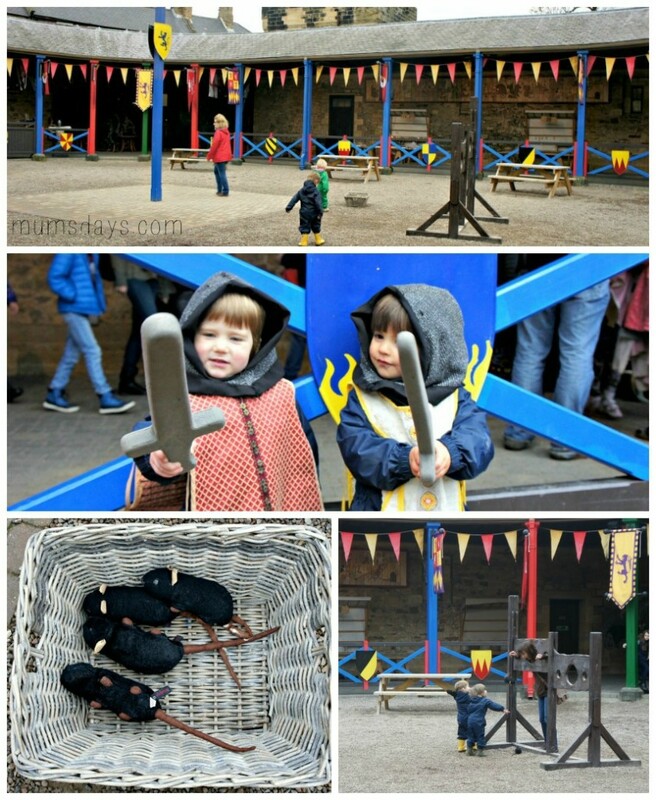 Alnwick Castle is such a great place. My daughter loves Harry Potter so it’s always a thrill to do a bit of broomstick training!